The characteristics of good leadership are increasingly coming under pressure in a recession. We asked a wide range of managers across different public services to tell us what is affecting performance in public services during these tough times. We found that there was broad agreement of the pressures that leaders are facing in public services. These discussions resulted in widespread confirmation of the issues shown in the table. Interestingly, delegates attending from a range of public service organisations suggested that these were common issues. The main challenge is to consider how they can be minimised and managed. The starting point in doing this is to identify and recognise them. For the managers we spoke to seven issues were particularly prominent in affecting the performance of public services. To what extent do these issues apply to your own context? Would managers recognise the issues and identify with them readily? How do these issues impact on the characteristics of good leadership? What response can leaders make to these difficult circumstances? 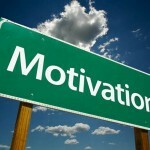 Morale issues – Trying to keep everyone with you as a leaders is essential in difficult times. Integrity and openness will be important a sledaers struggle to do the best they can with a diffcult context. Uncertainty – Building security where it can be built, whilst being open about where things are uncertain. Ledaers will increasingly need to Help others to cope with uncertainty. When job security can’t be guaranteed, increasingly leaders need to be able to offer employability security, by helping staff to develop the currency of their skills. Change: too much – Change that results in re-organisation with less emphasis on re-design of services places a focus on internal changes and not enough on how the service should be delivered differently. Internal tend to mean people lose their focus on the customer in the rush to find out how they might fit in to the new structure. Change can feel like it is too much when it is time-consuming and seems to have little to do with how the customer might experience the service. Leadership – when the pressures are significant it can be easy to re-trench. It can all get too much. It is at this point though that leaders often need to be out there communicating more and helping to explore a pathway through difficult times. Direction and Focus – As leaders respond as suggested in the previous point then they begin to bring some direction and focus. Within this context some of the characteristics of good leadership needed are clarity and maintaining general direction and purpose. When staff feel that goals are being changed frequently it builds frustration and a loss of confidence in leaders. 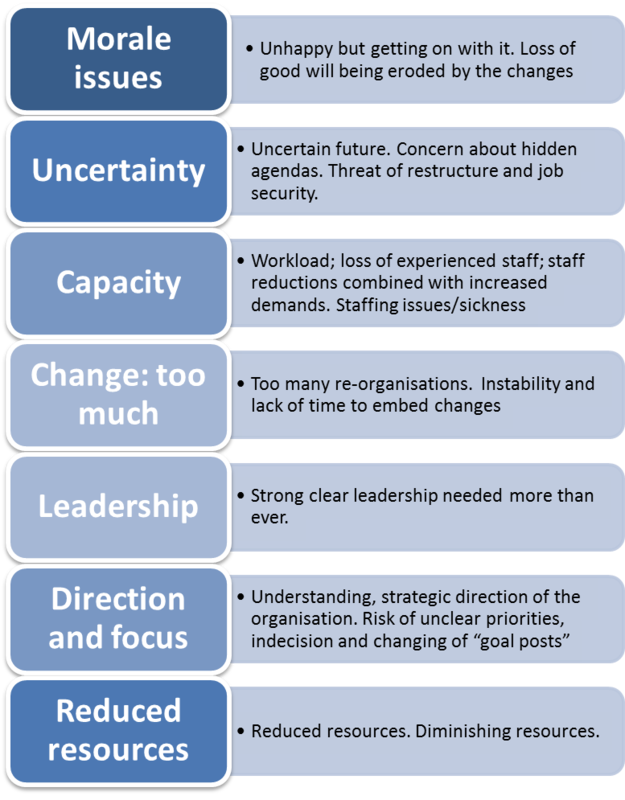 It may well be that goals do need to change, if so leaders should be as clear as posssible in communicating what has changed and in helping to work through how changes can be made. Reduced resources – Leaders need to demonstrate the ability to be resourceful. When resources are being reduced leaders need to think differently about how the resources they do have can be used flexibly in a way that doesn’t continually put more pressure on people to do more. When the characteristics of good leadership are under significant pressure, the issues raised by public service managers provide a helpful basis from which to consider how leaders should respond. Very stimulating and thought provoking. Excellent session some really good quality discussion. Very good session – at the moment there doesn’t seem to be ‘time’ but actually we should be making time for this type of learning.